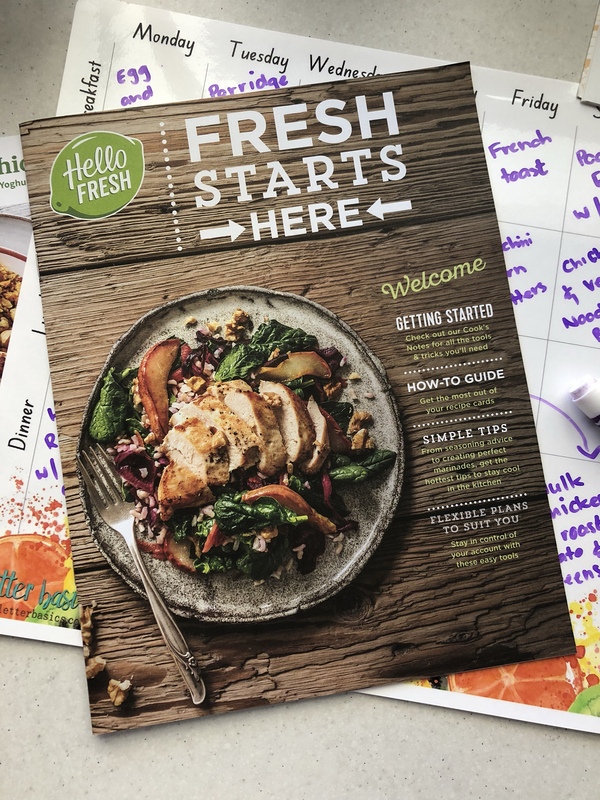 Home / Meal Plan Inspiration / Meal Plan Monday with Hello Fresh! In the early hours of this morning Miss 14 months was unsettled. Once she was settled and I was tucked back up in bed. I stumbled for my phone and was excited to see a little notification bringing to my attention that a delivery had been made by my front door. It was freezing cold and early and dark so I had absolutely not intention of getting out of bed again however it was nice to drift off to sleep imagining what was inside of our first box. An hour later it was 430am and Miss 14 months was ready to start her day – why must my children be such early risers?! With the smallest child on my hip, we ventured outside to collect our box. There was a rush of pitter pattering feet as my excitement spread to Miss 4 too! Upon opening the box, we were greeted with gorgeous fresh veg, meats and perfectly portioned accompaniments. 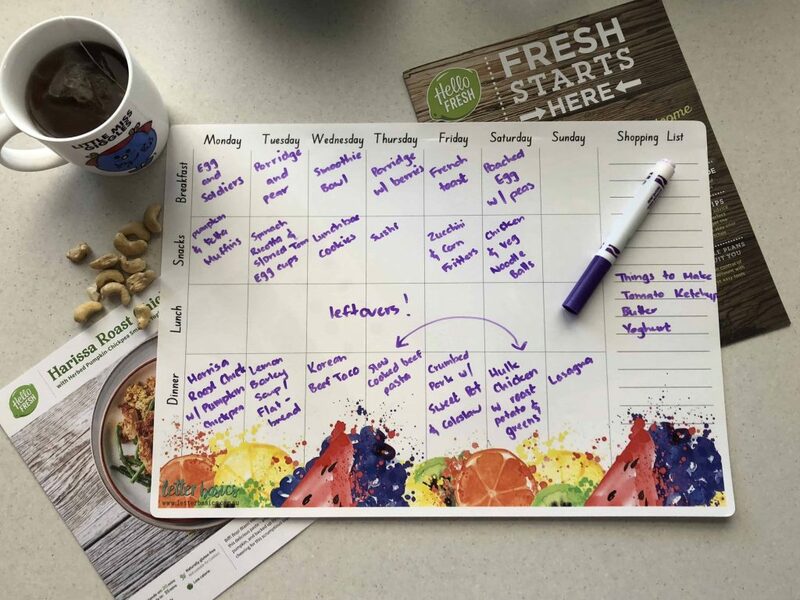 This, of course, motivated me to grab our meal planner, wipe off last weeks menu and begin filling in this following weeks meals. I have already crossed off the tomato ketchup and yoghurt off my list of things to make. 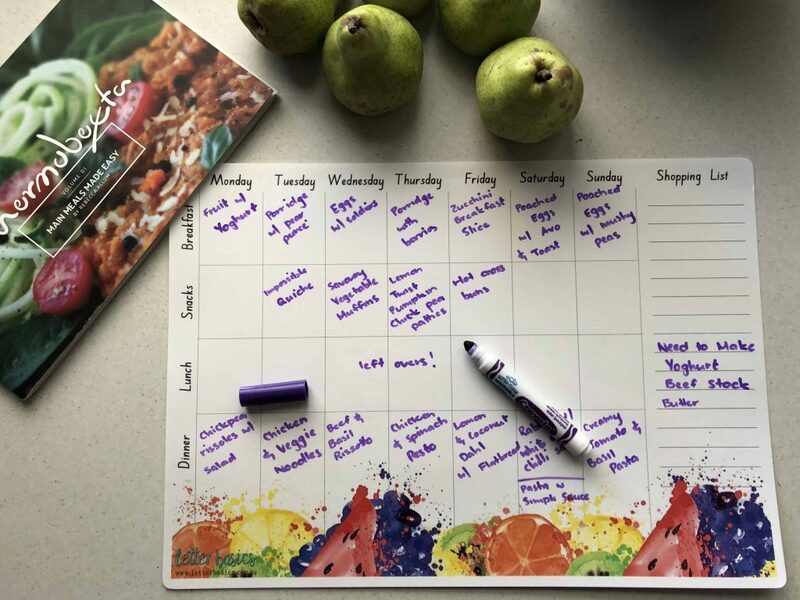 Have you made your own yoghurt before? It is so easy! Stay tuned over the next fews days – Ill show you how I make it. Its a quarter of the price, no added sugar and literally three ingredients!